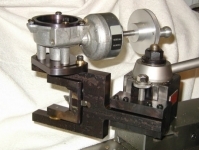 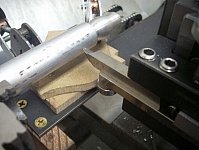 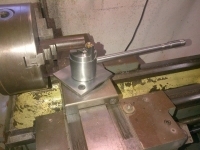 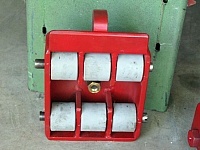 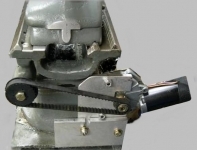 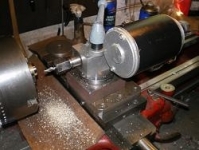 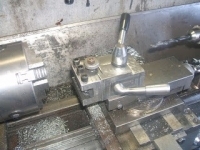 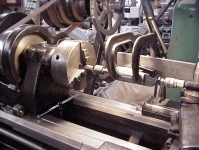 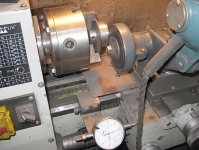 Homemade tailstock turret designed to accommodate four tools. 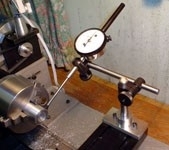 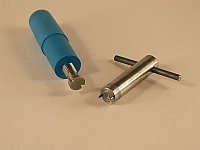 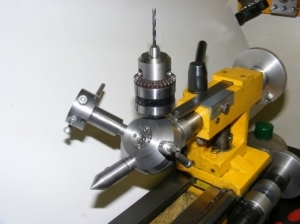 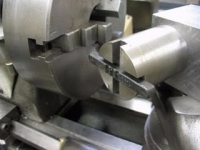 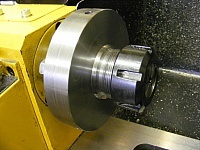 Carries a rotating center, chuck, center drill, and die holder. 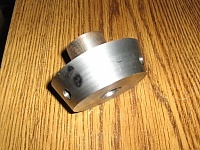 Turret assembly consists of a taper, base plate, turret block, pivot pin, and detent assembly.